When search engines make improvements, the goal is for those improvements to make useful information more available to their users. This is why SEO “tricks” that are more interested in your search engine ranking than the quality of your site can be ineffective, or even hurtful, to your online marketing efforts. We focus on organic SEO by making sure your site has the right features, and the right content, to earn higher rankings in relevant searches. As your improvements take effect, you can start to see an increase in your page visits, which can help you bring in new patients to your practice! Organic SEO efforts are those efforts that add to the value of your online presence. In the past, stuffing pages with searchable keywords and links that are not helpful were seen as potentially useful tactics for improving your ranking on Google. However, updates to Google’s algorithms are consistently weeding out these behaviors, and looking for ways to promote those sites that offer more meaningful content. In other words, by focusing SEO efforts on changes that also improve your site for visitors can have offer consistent and long-lasting benefits. SEO improvements can be made in many different ways. If your site is slow to load, if it is hard to visit on a mobile device, or if it is not communicating effectively with search engines, changes to your website could be in order. We offer website design, and we can even build you a new site. You also need to consider what you are providing people on your page, and how often you are making updates. The right original content can create more links for Google to find and share, while also helping you engage with visitors. Should You Consider PPC Ads? Google ads, or PPC ads, can feel like a worthwhile shortcut. After all, you can move up to a more prominent space in a person’s search results, and see a quick visibility boost. However, you may be disappointed with how short-lived the benefits are against the cost of your investment. By making organic SEO a priority, we can help you sustain your online marketing improvements, and continue to attract new potential patients. If you want to grow your practice, the right online marketing strategy can be key. At MDPM Consulting, we focus on site improvements that offer organic SEO. This approach can help you maintain a better reach, and connect with more people in your area. For more information, we can be reached via the information provided below. 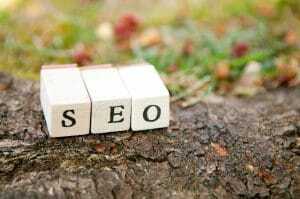 What is organic SEO, and how can it help your practice? Please contact us today and let us help you! Email MDPM Consulting at [email protected], or call us at 972-781-8861.